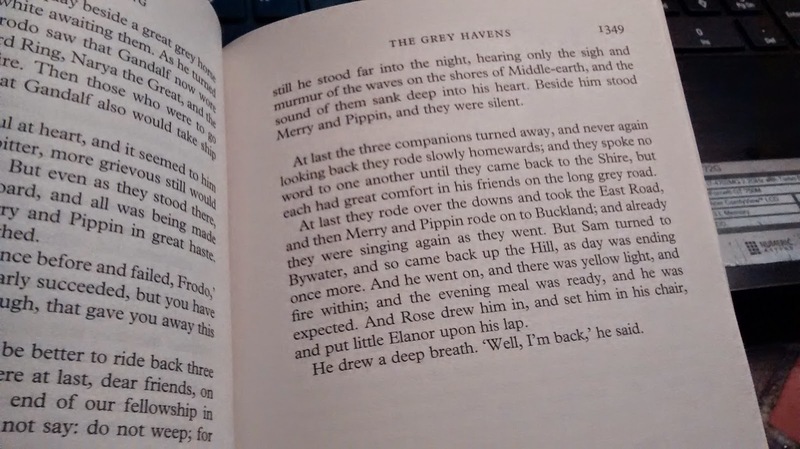 The last part of my favourite trilogy, and also my favourite part of the trilogy. I could write about the relationship between Frodo and Sam; how Tolkien put his war experience in their story, how they have a commander-soldier relationship where one can’t go on without the other. But that’s been done a hundred times. I could write about why Frodo had to leave Middle-earth and write a whole article on his psychology, but I need at least two years at uni to fully explain it with the right words if I want to do it well. Then I started writing about the effects of the events of the mission to destroy the ring on the four hobbits. But I just ended up with a really long description of events, and that couldn’t possibly be interesting to read, right? … And just today I tried writing about why people on the internet are wrong when they say Tolkien was a fascist, a nazi, or a gender discriminator. Truth is, I really can’t describe Return of the King. It’s just beyond my level of writing right now. And I might be having a cold and having a head that’s so stuffed that I feel like someone shoved a turkey baster up my nose whilst I was sleeping really isn’t helping with the writing. And I did try. I have five pages of useless drafts. See it as a promise. If I do find a suitable subject related to Return of the King I will post it on this blog. But honestly, I’ve been trying for two weeks and nothing feels right.